Since its introduction, the Bentley Bentayga has helped define the luxury SUV segment, offering customers the ultimate Grand Touring experience in class and comfort. 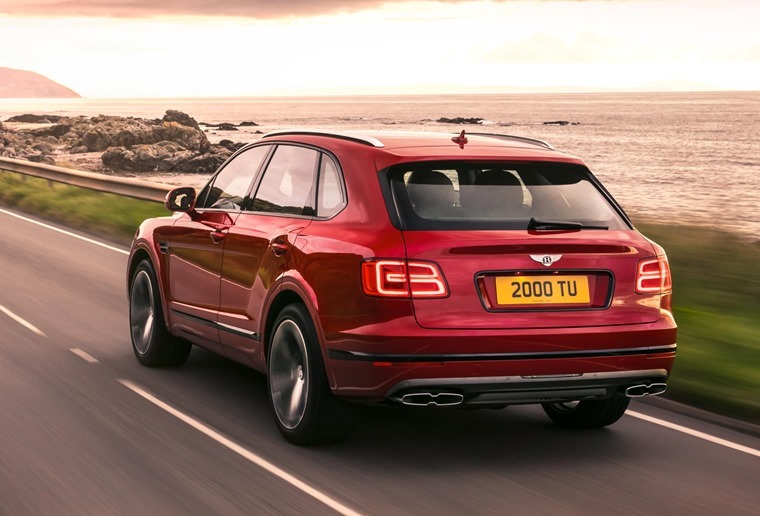 Bentley aims to extend this reputation by offering the Bentayga in its most sporting guise to date – the Bentayga V8. Power is fed through an eight-speed automatic transmission and permanent four-wheel-drive, and the V8 petrol achieves 24.8mpg and emissions of 260g/km CO2. This refined efficiency comes via the ability of the engine to de-activate four of its eight cylinders in suitable conditions, without compromising the drive. One of the more unique features on the Bentayga V8 is the optional carbon ceramic brakes which Bentley claims are the largest front brakes ever fitted to any production car. The 10-piston front brakes measure 440mm in diameter, which is a 40mm increase on the Bentayga’s standard steel brakes, with the rear brakes measuring 370mm. Tucked behind the standard 21in wheels, these massive brakes help produce a maximum braking torque of 6,000Nm. The shape of the vehicle is defined by its unique sculptural lines which balance athleticism with an unmistakable presence on the road. 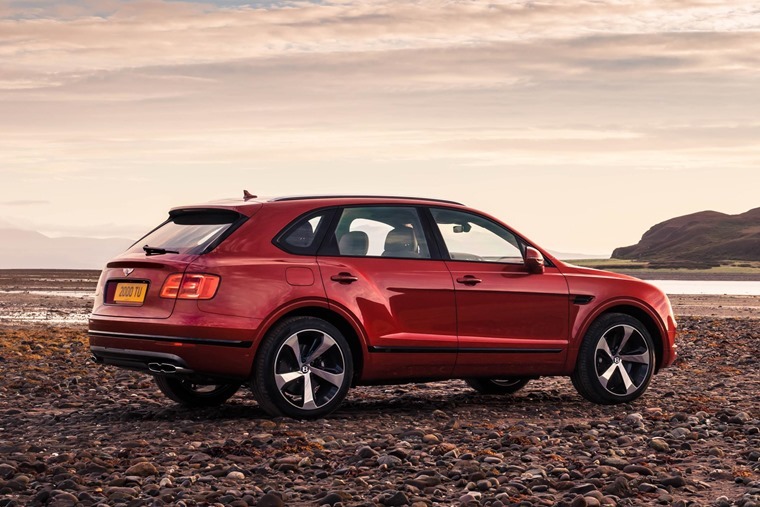 Like the standard Bentayga, air suspension is fitted on the V8 petrol variant and the car comes equipped with a choice of on- and off-road drive settings via Bentley’s Drive Dynamics Mode and optional All-Terrain Specification. Up to eight modes (four on- and four off-road) are available, allowing drivers to select the perfect dynamic set-up for any surface or road condition at the turn of a dial. 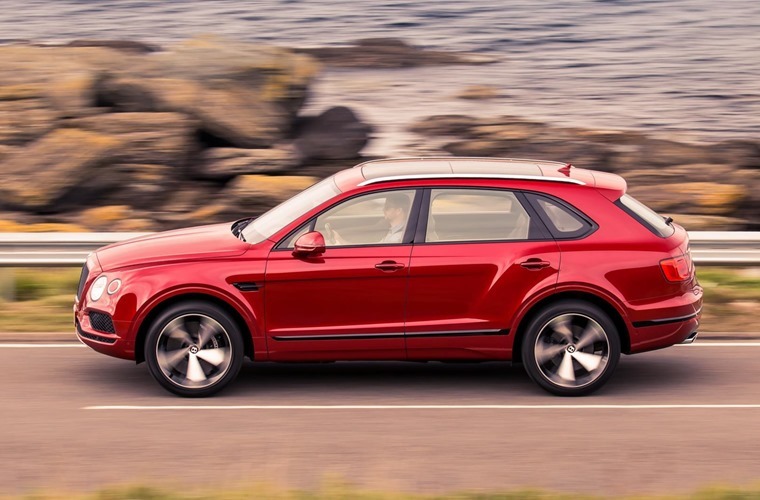 The Bentayga V8 comes with multi-mode air suspension, with the driver choosing between High 2, High 1, Normal and Low. High 2, for example, can be manually selected when tackling more severe off-road surfaces. Customers can also lower the rear suspension via a switch in the boot, to ease loading and trailer hitching. Inside, customers can choose a four, five or even seven-seat configuration for ultimate versatility, and driver aids include adaptive cruise control, traffic sign recognition and park assist, along with infrared night vision and a head-up display. 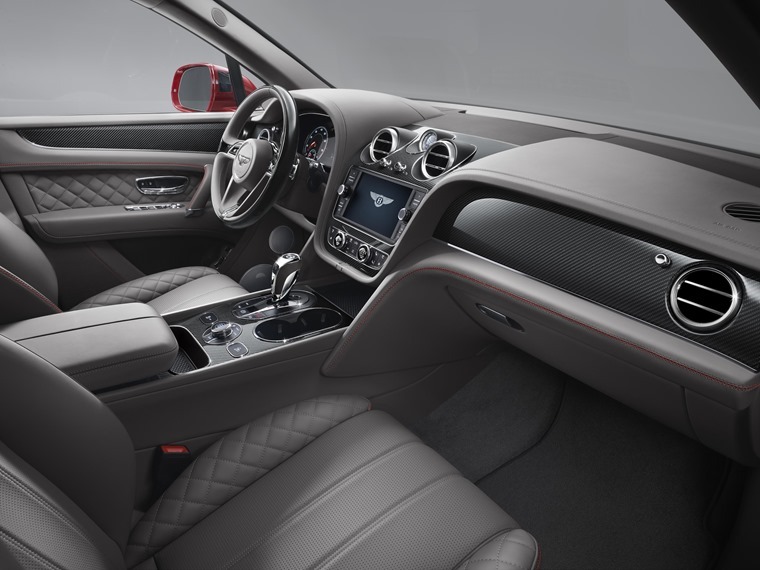 Bentley’s standard infotainment system is also fitted, featuring an 8in touchscreen, 60-gigabyte hard drive, and for passengers in the rear there’s a 10.2in Android tablet device with 4G WiFi and Bluetooth connectivity. 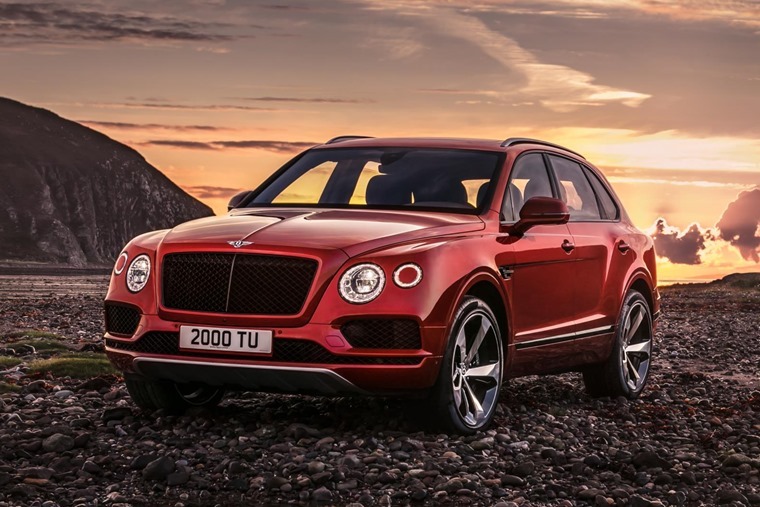 The Bentayga V8 petrol is the third model in the Bentayga range, and is expected to be available this spring.